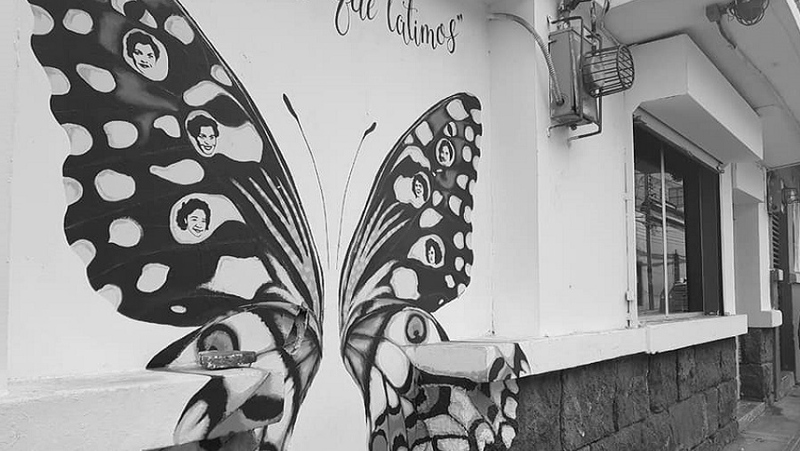 THE FACTS – On the afternoon of March 7th, just before the celebration of International Women’s Day, EDD members were in the organization’s offices when they heard a loud noice outside, specifically on the part of the building that hosts a mural dedicated to Berta Cáceres, Margarita Murillo and the Mirabal sisters. When they went outdoors to check, they found a huge stone and a hole apparently made by it in the mural. Recently, due to the organization’s work in support of women’s rights, EDD has been the target of a number of attacks, including the temporary cancellation of its Facebook page, threats, and virtual harassment. Some members have also been followed in the streets. 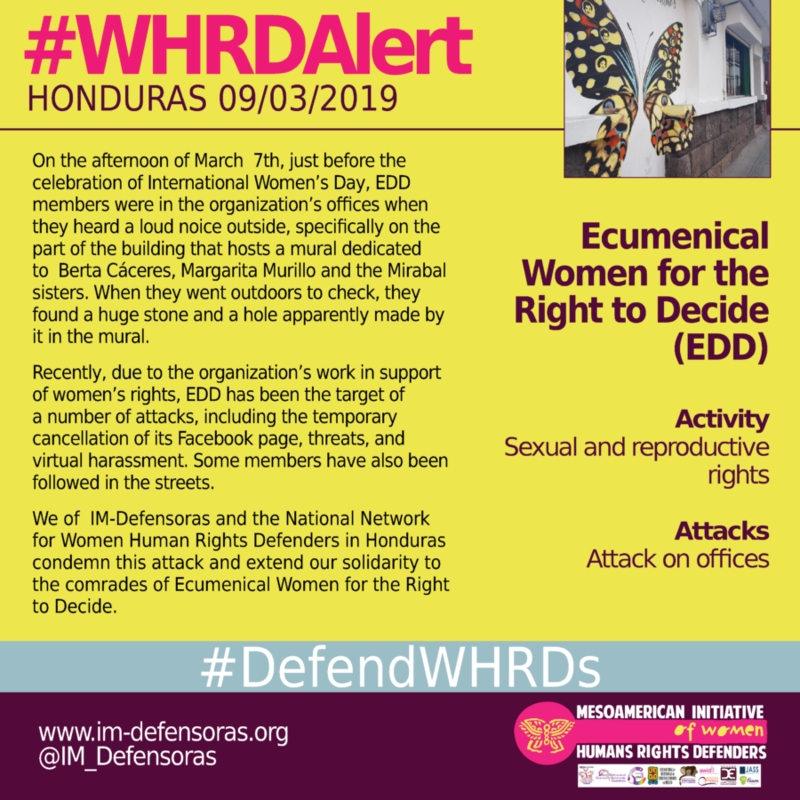 We of IM-Defensoras and the National Network for Women Human Rights Defenders in Honduras condemn this attack and extend our solidarity to the comrades of Ecumenical Women for the Right to Decide.